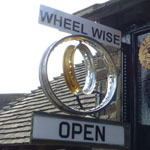 We have recently received photos of a couple of superbly renovated AJS bikes that were completed earlier in the year and for which Wheelwise Engineering provided the wheels. 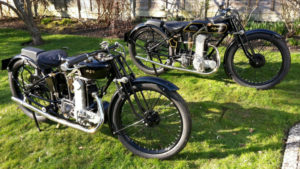 One is a 349cc 1928 AJS K7 and the other is an “AJcette”; this started life with a side valve engine and was converted to an overhead cam configuration. The camshaft is chain driven, with its distinctive cast-alloy case extending forwards to the front-mounted magneto. Both bikes can now be seen individually in the gallery.